Public sector IT projects have typically lacked common sense and need to evolve in order to survive a change of government and leader. This is the view of Dr Steve Hodgkinson, CIO at the Victorian Department of Health and Human Services (DHHS), who believes that public sector agencies are "littered with the wreckage created by CIOs" who have a grand vision but an inability to create meaningful and sustainable change through people. 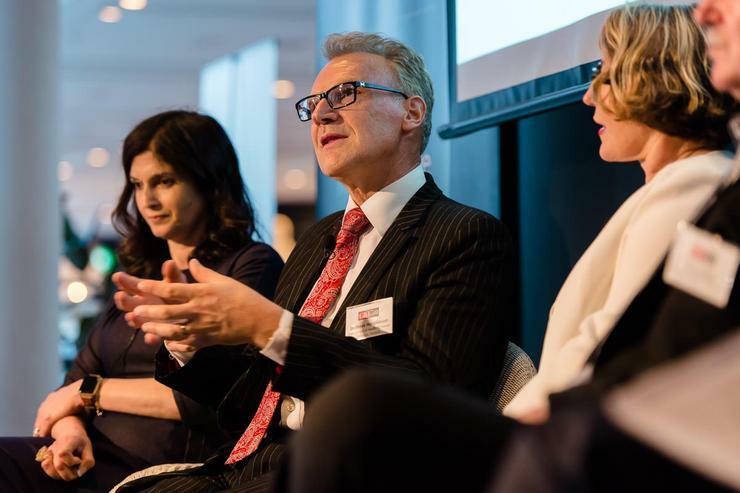 Hodgkinson - who clinched the No 7 spot in this year’s CIO50 - joined a panel IT chiefs in the final list, along with judging panel member and Gartner research director Jenny Beresford, to discuss their projects. 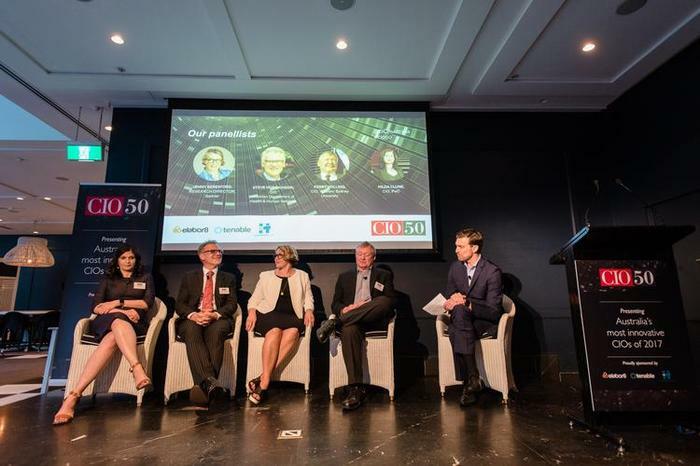 Other CIO50 finalists joining the panel included Hilda Clune, CIO at PwC, and Kerry Holling, chief information and digital officer at Western Sydney University. Government CIOs need to focus first on doing no harm and then doing things that are sustainable and have common sense, Hodgkinson told the audience. But the keys to success come down to valuing people, Hodgkinson said, explaining the future of the industry involves “empowering people to exercise their common sense to make good and practical choices” and to just do things. “Disruption comes and disruption goes. In the public sector, I’ve always had the view that there’s a whole cadre of people that keep the public sector operating from one day to the next, from one week to the next, from one month to the next - and those are the people, that as a CIO, we need to connect with and empower because they know what to do," he says. Hodgkinson said he’s particularly proud of the work he’s done with the deployment of a family violence referral and triage system that automates the flow of referrals from Victoria Police to the DHHS and agencies in the social services sector. The system processes about 70,000 referrals each year and significantly improves the capacity of agencies to respond in a more timely manner and track the status of service responses. And like the public sector, the education space is under intense pressure to transform and meet the needs of ever-evolving customers. CIO50 finalist Kerry Holling, who clinched the No 8 spot, said he needs to continually ensure he caters to the ever-evolving needs and high expectations that students place on him in terms of the desired technology experience throughout their university careers. Certainly, today’s educational CIOs need to be on their toes, he said. Indeed, technology solutions today are enabling a digital and collaborative learning environment, with tools like screen sharing technology and videoconferencing solutions all part of the mix. “We can daisy chain rooms together, or bring more people into the one space, to bring in guest lecturers from overseas who might have a bit of a rock star status,” he says. Discussing the use of immersive technologies to support learning, Holling said he is also proud of the work the team is doing around augmented reality (AR) and virtual reality (VR) which is helping its paramedicine students. “Paramedicine students work with dummies in order to learn how to treat people who might have had an accident. But what we’re doing is putting them in what is a very physical, cylindrical space and all around them is the scenes of an accident. “It is not just about what you might need to do with respect to the patient in front of you, it is about the drama that is going on around you. So the audio side of this is extremely important, as well as the video side, because you have to be able to handle the psychological pressure that comes in those sorts of environments,” he says. Over the last 12 months, the company set into motion a workplace transformation program that embeds innovative technology with the physical environment to transform its client and staff experience. These and other stories were some of the projects - and recognitions of leadership - that judging panel member, Beresford, who is Gartner’s research director for digital innovation, said she was inspired by. Asked what she looked for in terms of successful criteria to make the CIO50, Beresford said the hygiene factors are a no brainer (saving costs, improving productivity and delivering on business outcomes are all part of the job), but the stories that showed evidence of “being a little bold” and inspiring caught her eye. Inspiring people and changing the culture of people is another worthy pursuit - and one that Beresford looked for in the nominations.